The world’s first and largest wheelchair-accessible motorhomes, choose from the 39-foot Canyon Star 3911 or 43-foot Ventana or Dutch Star 4311! Our best-selling coach made better, the redesigned 2019 Dutch Star shines brighter than ever before thanks to bold styling and five all-new floor plans! The 33-foot New Aire combines true premium luxury with tailored proportions that provide an SUV-like driving experience and lots of living space. Doing it better starts with reinventing how it’s done. That’s why our first Super C model is the only Super C to feature both a full air-ride cab and a full-wall slideout! 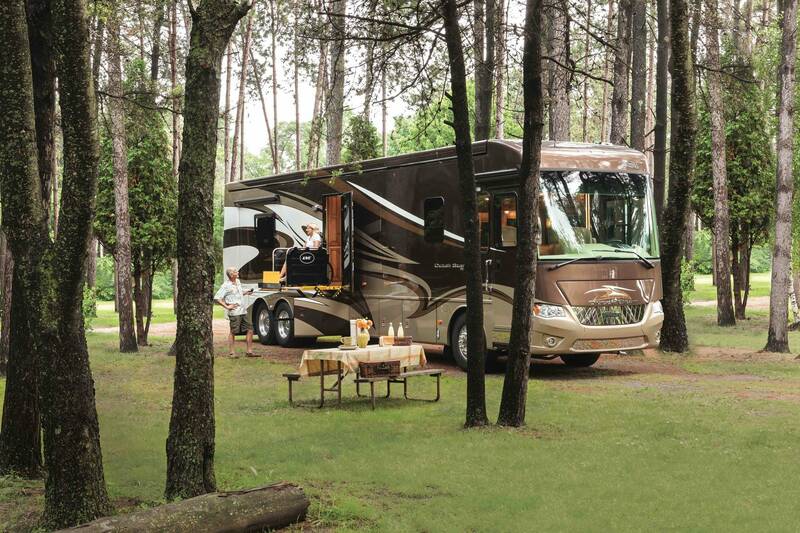 Led by the first-ever Super Star Super C motorhome, the latest Newmar coaches combine the legendary Newmar craftsmanship you expect with the industry-leading innovations you need to live the RV lifestyle to the absolute fullest. To view the 2019 lineup of Newmar gas, diesel, and luxury-diesel coaches, click on one of the product tabs to your left below the video player.